Choose from lightweight, portable solutions that you can use anywhere in the house, or more fixed solutions, such as commode chairs. 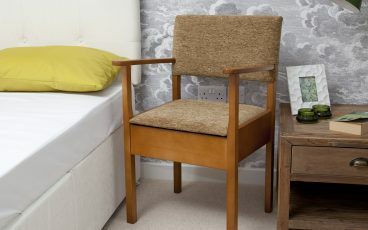 Chairs range from basic, inexpensive models that are functional in appearance, but sometimes offer additional practical features, such as height adjustment. These may be a good option if you are restricted by budget or are planning to keep it in a private area, such as a bedroom. 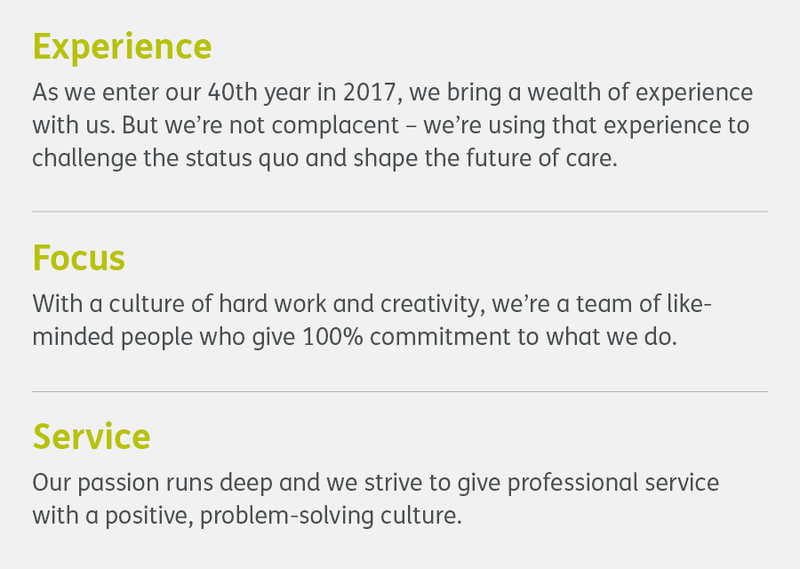 More attractive options that don’t give away their purpose are also available. You may consider these as better options for social areas of the home, such as the living room. Keeping a discreet commode downstairs can be useful if you find it difficult to get to your upstairs bathroom. On the other hand, you may simply want a solution that won’t disrupt the aesthetic of your bedroom. 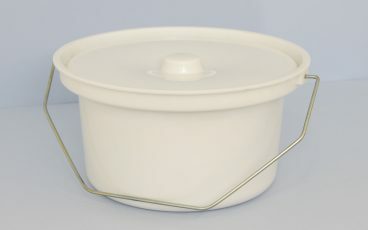 Plastic moulded pan with a lid and carrying handle. 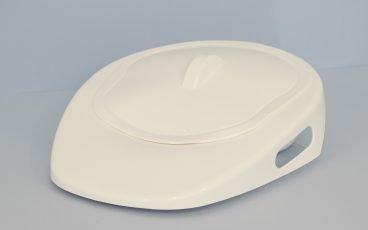 A bedpan for individuals who are immobile and bedbound. 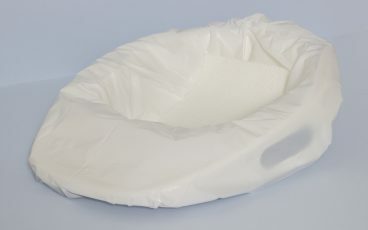 Bedpan liner with draw-string closure that turns the contents into gel for maximum dignity. With a one litre capacity. 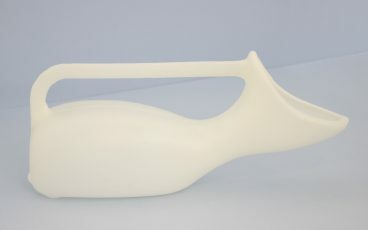 Anatomically-shaped for females. 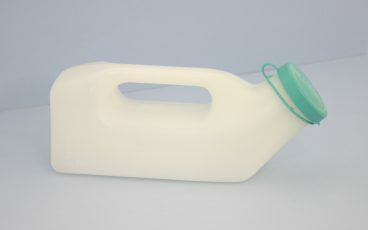 One litre capacity. 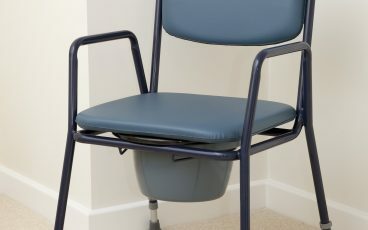 Functional, inexpensive commode with padded seat and backrest for extra comfort. 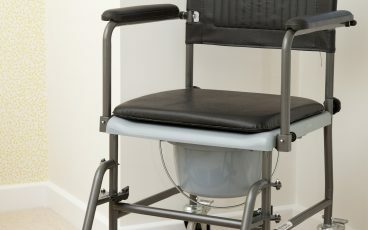 Mobile commode for moving a person around the home, while keeping facilities on hand. Bariatric mobile commode with an extra-wide seat. Discreetly designed commode with a simple and clean design to suit most styles of decor. 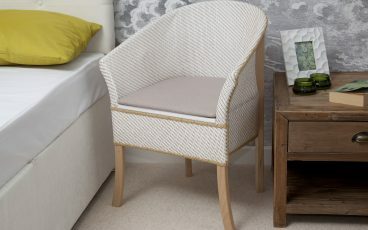 Can also be used as a bedroom chair, with the pan discreetly hidden by the chair frame.